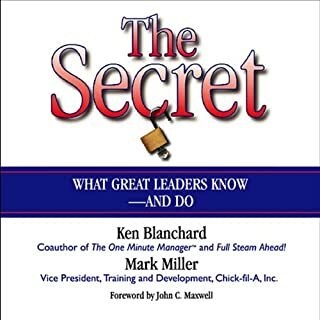 Mega best-selling author Ken Blanchard and celebrated business leaders Don Hutson and Ethan Willis present an inspiring story that reveals the secrets to becoming a successful entrepreneur. 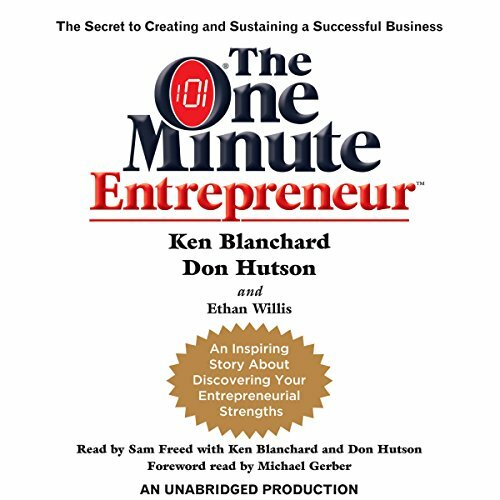 In The One Minute Entrepreneur, Ken Blanchard (coauthor of the number-one best selling business classic The One Minute Manager); Don Hutson, CEO of U.S. Learning; and Ethan Willis, CEO of Prosper Learning, tell the inspiring story of one man's challenges in creating his own business. 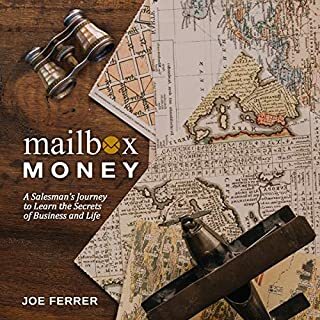 Through a powerful and engaging narrative, we confront many of the typical problems all entrepreneurs face in starting up their business, from finding new sources of revenue to securing the commitment of their people and the loyalty of their customers. More important, we learn the secrets to becoming a successful entrepreneur, including how to build a firm foundation, how to ensure a steady cash flow, and how to create legendary service. 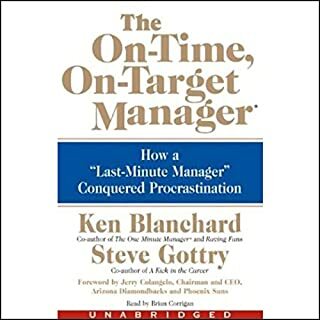 In addition, the book offers invaluable advice, delivered through One Minute Insights, from such entrepreneurs and thinkers as Sheldon Bowles, Peter Drucker, Michael Gerber, and Charlie "Tremendous" Jones. 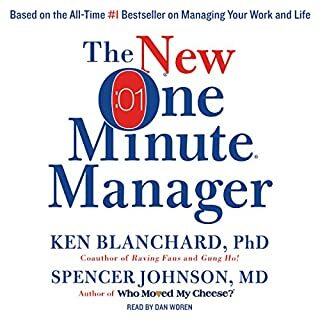 ©2008 Ken Blanchard (P)2008 Random House, Inc.
What did you love best about The One Minute Entrepreneur? Lots of good advices, specially the golden rules of entrepreneur success which is revenue exceed expenses, collect your bills, take care of your customers and your people. I love the advice on the how to set up a good performance system and the employee performance strategy. Which character – as performed by Sam Freed – was your favorite? Great story. Great for the series. Good ideas. Mine had a glitch as the story started over in the middle when over. Odd. But worth a listen. I was disappointed in this book. 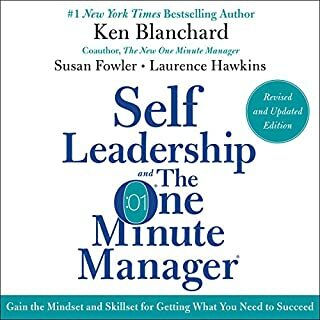 I had read the One Minute Manager decades ago and it was life-changing. This book is told as parable about a young man who wants to be a speaker. He meets a woman, they marry, start a speakers bureau together, and she becomes a full-time mom. Then his business takes off on the path to going public and his marriage is in trouble. He gives up the dream of a public business to save his marriage. This doesn't sound like the steps towards being an entrepreneur. It's a blueprint for starting a speaking company. Unlike true entrepreneurs, the protagonist doesn't produce anything of value. Just words in the air. There's no advice on getting funding, selling equity, innovation, or exit strategies. 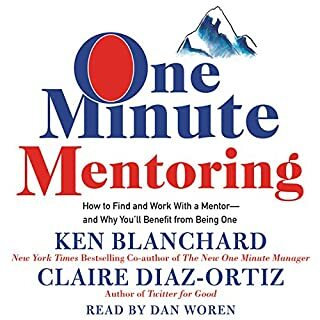 This is a feel-good motivational speech in the form of an audio book. It proposes that work-life balance is the path to success. It pushes Christian values - but not all of us are Christians. The entrepreneurs I know and have studied have a relentless single-minded drive. Many have given up relationships in favor of their dreams. This book doesn't explain how to do this. In fact, it advises against it. I can't recommend this book.